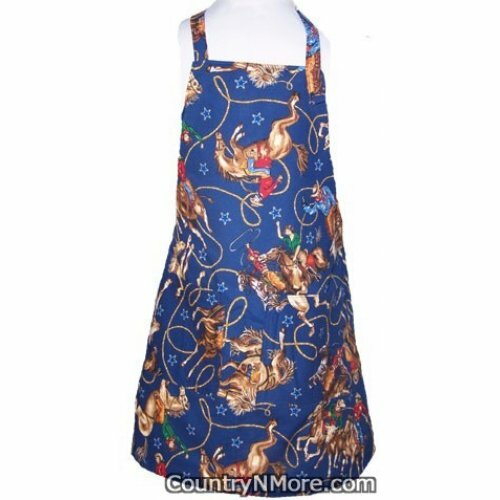 The cowboys and cowgirls are going for a wild ride as they try to rope the cattle.The reverse side of this apron was made using a cowboy bandana print. This apron measures 24 1/4 inches in length. This measurement is taken from the top of the apron to the bottom edge of the apron. 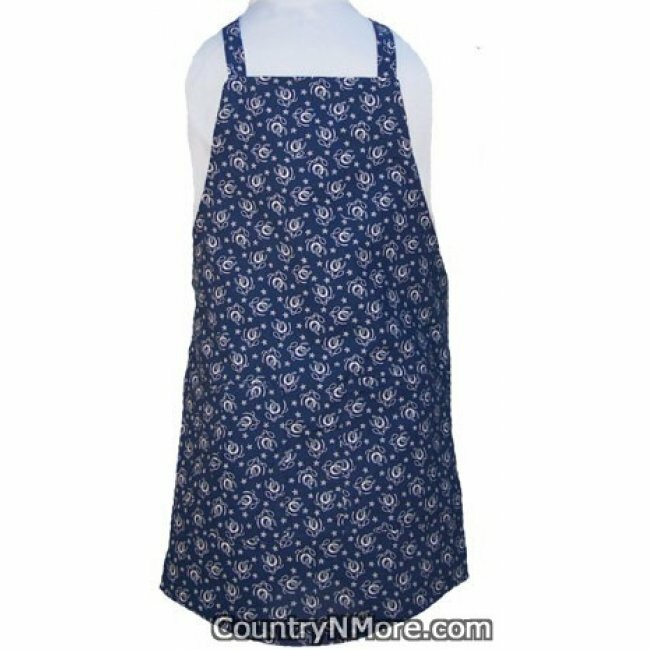 The top of the apron measures 7inches wide. Apron measures 20 1/2 inches wide at the bottom of apron. Waist measurement is 18 inches, which does not include the straps. Straps are 23 inches Long.